Confusion has surrounded the description of post-operative mutism and associated morbidity in pediatric patients with cerebellar tumors for years. The heterogeneity of definitions and diagnostic features has hampered research progress within the field, and to date, no international guidelines exist on diagnosis, prevention, treatment, or follow-up of this debilitating condition. An international group of clinicians and researchers from multiple relevant disciplines recently formed a cohesive panel to formulate a new working definition and agree upon standardized methods for diagnosis and follow-up. Consensus was obtained using the modified nominal group technique, involving four rounds of online Delphi questionnaires interspersed with a structured consensus conference with lectures, group work, and open discussion sessions. 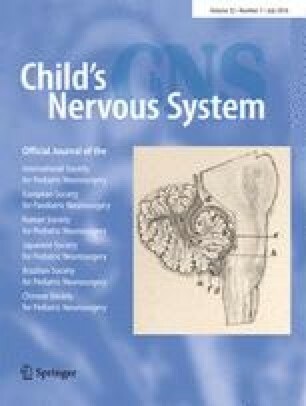 A new, proposed definition of “post-operative pediatric CMS” was formed, preliminary recommendations for diagnostic and follow-up procedures were created, two working groups on a new scoring scale and risk prediction and prevention were established, and areas were identified where further information is needed. The consensus process was motivated by desire to further research and improve quality of life for pediatric brain tumor patients. The Delphi rounds identified relevant topics and established basic agreement, while face-to-face engagement helped resolve matters of conflict and refine terminology. The new definition is intended to provide a more solid foundation for future clinical and research work. It is thought as a consensus for moving forward and hopefully paves the way to developing a standard approach to this challenging problem with the advent of better scoring methods and ultimate goal of reducing the risk of CMS. The online version of this article (doi: 10.1007/s00381-016-3093-3) contains supplementary material, which is available to authorized users. Femke Aarsen, Neuropsychologist. Erasmus MC - Sophia Children’s Hospital, Rotterdam, The Netherlands; Shivaram Avula, Radiologist. Alder Hey Children’s NHS Foundation Trust, Liverpool, UK; Kirsten van Baarsen, Neurosurgery Resident. Radboud University Medical Centre, Nijmegen, The Netherlands; Johan Cappelen, Neurosurgeon. St. Olav Hospital HF, Trondheim, Norway; Coriene Catsman-Berrevoets, Pediatric Neurologist. Erasmus MC/Sophia Children’s Hospital, Rotterdam, The Netherlands; Robert Dineen, Radiologist. Queens Medical Centre and the University of Nottingham, UK; Kimberley Docking, Speech Pathologist. University of Sydney, Australia; Jacques Grill, Pediatric Oncologist. Gustave Roussy, University Paris-Sud, Villejuif, France; Pablo Hernáiz Driever, Pediatric Oncologist. Charité-Universitätsmedizin Berlin, Germany; Thora Gudrunardottir, MD, Researcher. North Zealand Hospital, Hilleroed, Denmark; Marianne Juhler, Neurosurgeon. Copenhagen University Hospital Rigshospitalet, Copenhagen, Denmark; Caelyn Kaise, Speech-Language Pathologist. Hospital for Sick Children, Toronto, Canada; Robert F. Keating, Pediatric Neurosurgeon. Children’s National Health System, Washington, DC, USA; Mark D. Krieger, Pediatric Neurosurgeon. Children’s Hospital Los Angeles, USA; Ram Kumar, Pediatric Neurologist. Alder Hey Children’s Hospital, Liverpool, UK; Alvaro Lassaletta, Neuro-Oncology Fellow. Hospital for Sick Children, Toronto, Canada; Nicole Law, Psychologist and Neuroscientist. Hospital for Sick Children and the University of Toronto, Canada; Andrew L. Lux, Pediatric Neurologist. Bristol Royal Hospital for Children, Bristol, UK; Donald D. Mabbott, Psychologist. Hospital for Sick Children, Toronto, Canada; Conor Mallucci, Pediatric Neurosurgeon. Alder Hey Children’s Hospital, Liverpool, UK; Angela T. Morgan, Speech Pathologist and Speech Neuroscientist. University of Melbourne and Murdoch Children’s Research Institute, Melbourne, Australia; Iska Moxon-Emre, Doctoral Student in Psychology. Hospital for Sick Children and University of Toronto, Canada. Peter Mariën, Neurolingust. ZNA Middelheim Hospital, Antwerp and Vrije Universiteit, Brussels, Belgium; Roger J. Packer, Pediatric Neurologist. Children’s National Health System, Washington, DC, USA; Philippe Paquier, Neurolinguist. ULB - Hopital Erasme and Vrije Universiteit, Brussels, Belgium; Zoltan Patay, Radiologist. St. Jude Children’s Research Hospital, Memphis, USA; Barry Pizer, Pediatric Oncologist. Alder Hey Children’s Hospital and the University of Liverpool, UK; Stephanie Puget, Pediatric Neurosurgeon. Hôpital Necker-Enfants Malades, Paris, France; Christian Sainte-Rose, Pediatric Neurosurgeon. Hôpital Necker-Enfants Malades, Paris, France; Jeremy D. Schmahmann, Neurologist. Massachusetts General Hospital and Harvard Medical School, Boston, USA; Ulrich-Wilhelm Thomale, Pediatric Neurosurgeon. Charité-Universitätsmedizin Berlin, Germany; Katja von Hoff, Pediatric Oncologist. University Medical Center Hamburg-Eppendorf, Germany; David A. Walker, Pediatric Oncologist. Queen’s Medical Centre and Children’s Brain Tumor Research Centre, Nottingham, UK; Karin S. Walsh, Neuropsychologist. Children’s National Health System, Washington, DC, USA; Elizabeth M. Wells, Pediatric Neurologist. Children’s National Health System, Washington, DC, USA; Jeffrey H. Wisoff, Pediatric Neurosurgeon, New York University Langone Medical Center, New York, USA. Thora Gudrunardottir initiated the consensus process, acted as facilitator of the Delphi Rounds, and organized the consensus conference. She drafted the initial manuscript, contributed substantially to and revised all versions, and approved it as submitted. Angela T. Morgan served on the consensus committee and applied for funding for the consensus conference. She contributed substantially to and revised all versions of the manuscript. She was responsible for graphics, critically reviewed the final manuscript, and approved it as submitted. Andrew L. Lux served as guarantor of the Delphi Process. He was also group discussion facilitator at the consensus conference and chaired the working group on follow-up. He contributed substantially to and revised all versions of the manuscript and approved it as submitted. David A. Walker served as guarantor of the Delphi Process. He was also group discussion facilitator at the consensus conference and chaired the working group on diagnosis. He contributed substantially to the manuscript, revised and approved it as submitted. Karin S. Walsh served on the consensus committee, contributed to and revised all versions of the manuscript, and approved it as submitted. Elizabeth M. Wells served on the consensus committee, contributed to, revised and approved the manuscript as submitted. Jeffrey H. Wisoff documented the consensus conference and revised and approved the manuscript as submitted. Marianne Juhler served as group discussion facilitator at the consensus conference and chaired the working group on definitions. She contributed to and approved the manuscript as submitted. Jeremy D. Schmahmann contributed substantially to the manuscript, revised and accepted it as submitted. Robert F. Keating served on the consensus committee, contributed substantially to and revised all versions of the manuscript, and accepted it as submitted. Coriene Catsman-Berrevoets served on the consensus committee, contributed substantially to and revised all versions of the manuscript, critically reviewed and accepted it as submitted. All authors participated in the consensus conference. For a list of all participants in the conference by specialty and country, see Appendix III. No external funding for this manuscript. David Walker is affiliated with the Children’s Brain Tumor Research Centre, Nottingham, UK, which provided partial funding for the consensus conference. The other authors have no financial relationships relevant to this article to disclose.